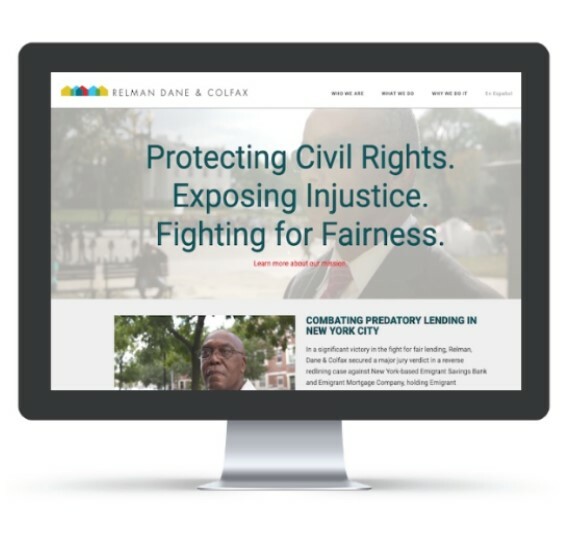 To mark its 20th anniversary, Relman, Dane & Colfax proudly announces that its website has been revamped to better document the firm's work protecting civil rights. The new website highlights some of our most important victories, tells the stories of the clients at the heart of our civil rights advocacy, and introduces our team of dedicated attorneys and staff who share a commitment to enforcing our nation's civil rights laws. The firm also recently unveiled a new logo, created by renowned designer Oliver Munday. The logo reflects the firm's roots in the fair housing movement and its broader commitment to promoting diverse, integrated communities in all aspects of its work, which challenges discrimination in housing, lending, employment, public accommodations, education, policing, and other areas. If it has been a while since you visited our website, we think you’ll be impressed. Please visit the site regularly and follow us on LinkedIn and Twitter for updates on the firm and our cases.